Did you know? 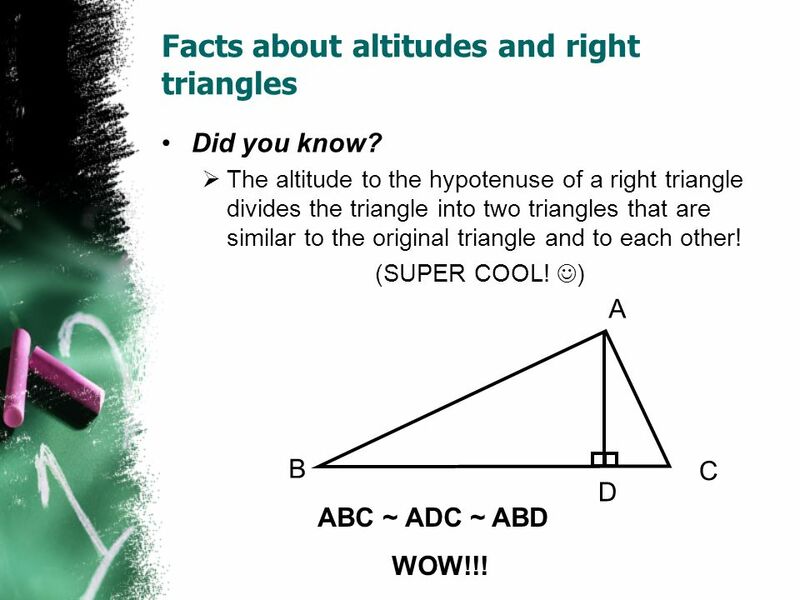 The altitude to the hypotenuse of a right triangle divides the triangle into two triangles that are similar to the original triangle and to each other! (SUPER COOL! ) A B C D ABC ~ ADC ~ ABD WOW!!! 5 Huh? Let’s try it! 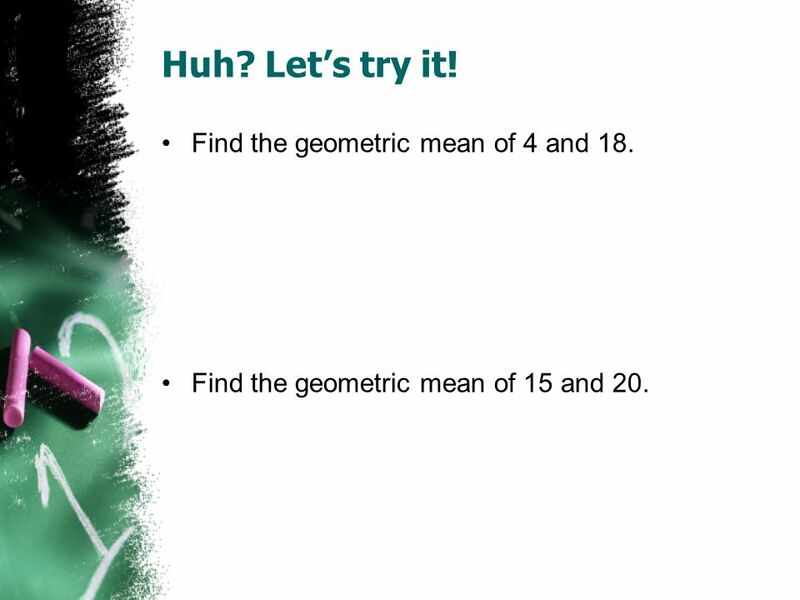 Find the geometric mean of 4 and 18. 9 Kinda Understand! Try Again! Download ppt "Similarity in Right Triangles"
1 Objectives Apply similarity relationships in right triangles to solve for missing lengths. You Can Do It!! Solve for x, y and z A B C D x y z 6 3. 9.1 Similar Right Triangles. 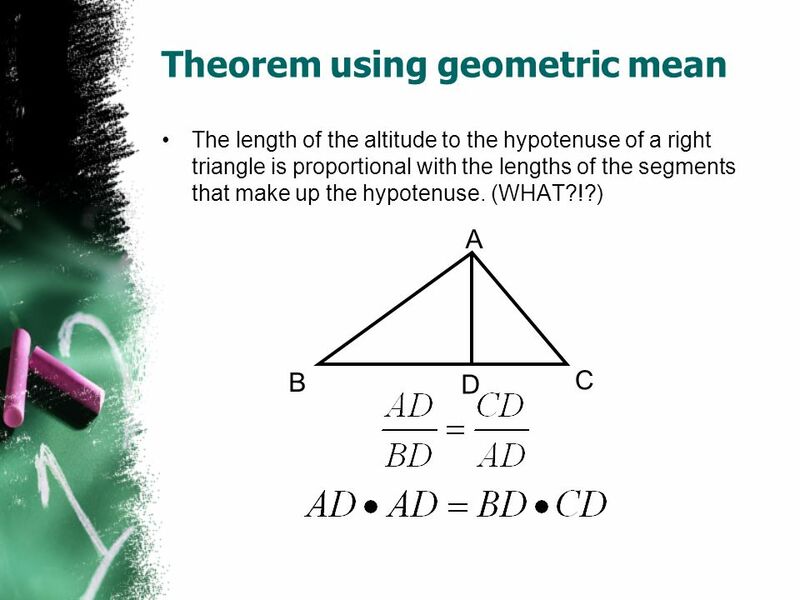 Theorem If an altitude is drawn to the hypotenuse of a Right triangle, then it makes similar triangles to the original Right. 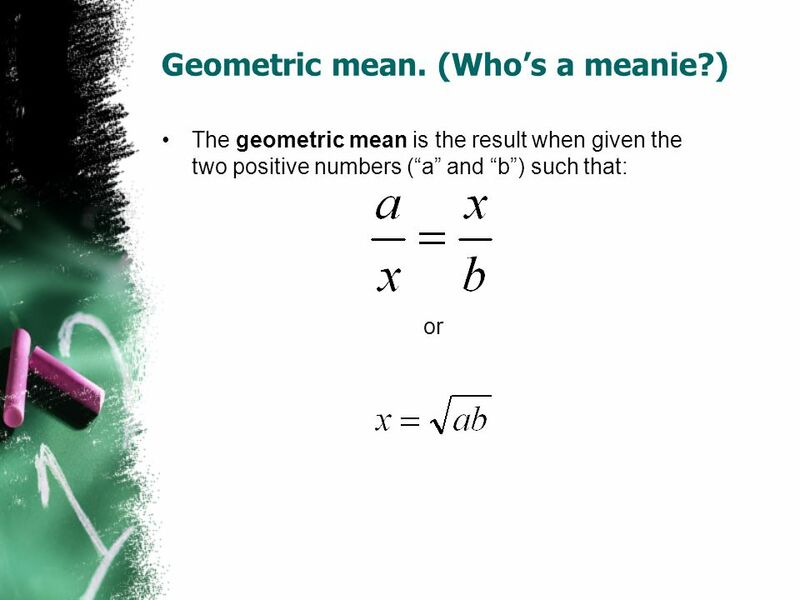 7.1 Geometric Mean.  Find the geometric mean between two numbers  Solve problems involving relationships between parts of right triangles and the altitude. WARM UP: Are triangle KRA and triangle FLN similar? How do you know? Altitudes Recall that an altitude is a segment drawn from a vertex that is perpendicular to the opposite of a triangle. Every triangle has three altitudes. 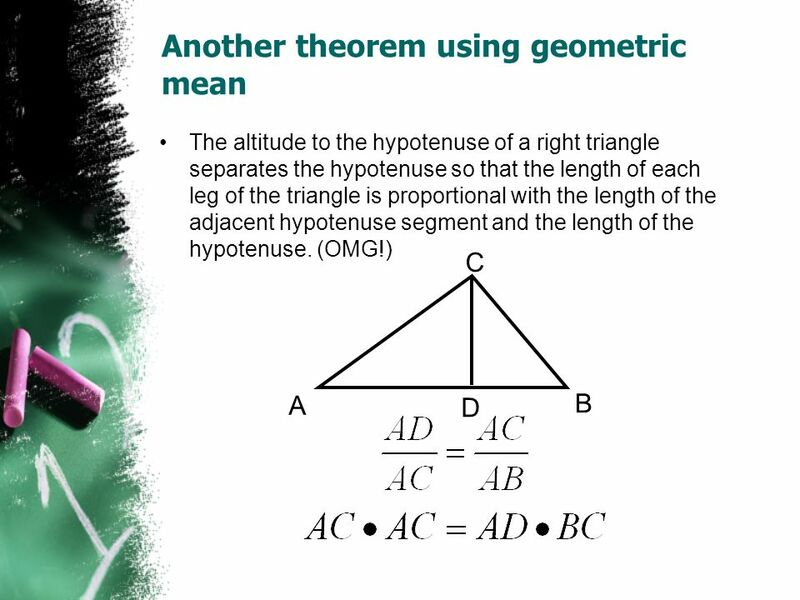 Altitude to the Hypotenuse Theorem - Tomorrow we will use this theorem to prove the Pythagorean Theorem! Chapter 7 Jeopardy Game By:Kyle, Yash, and Brahvan. 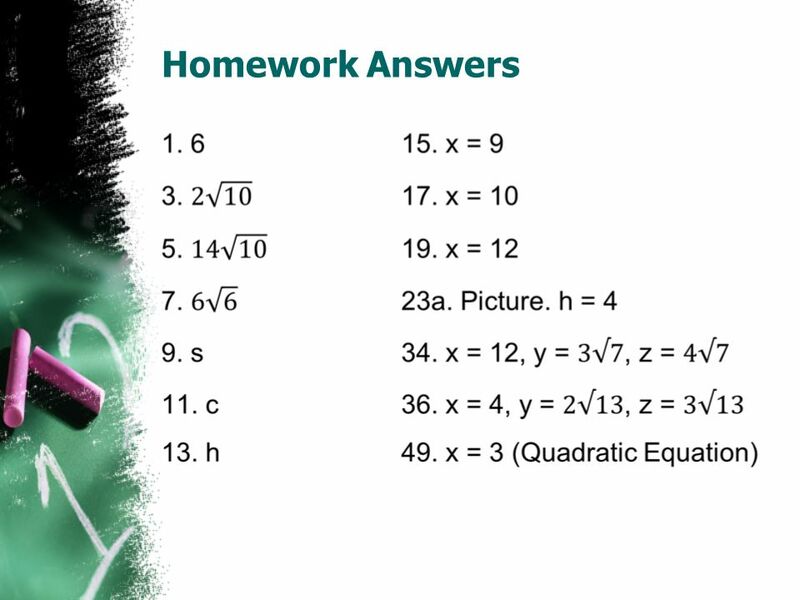 MA.912.T.2.1 CHAPTER 9: RIGHT TRIANGLES AND TRIGONOMETRY. 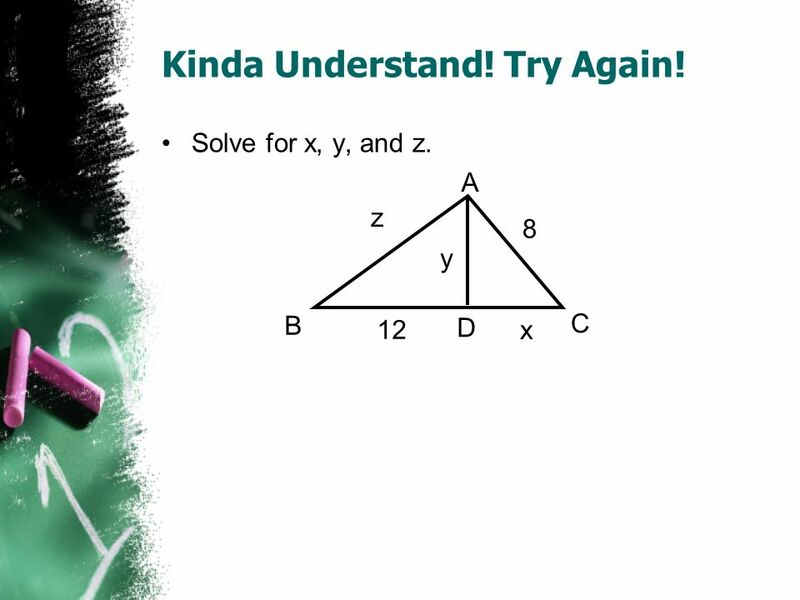 Use Similar Right Triangles Ch 7.3. 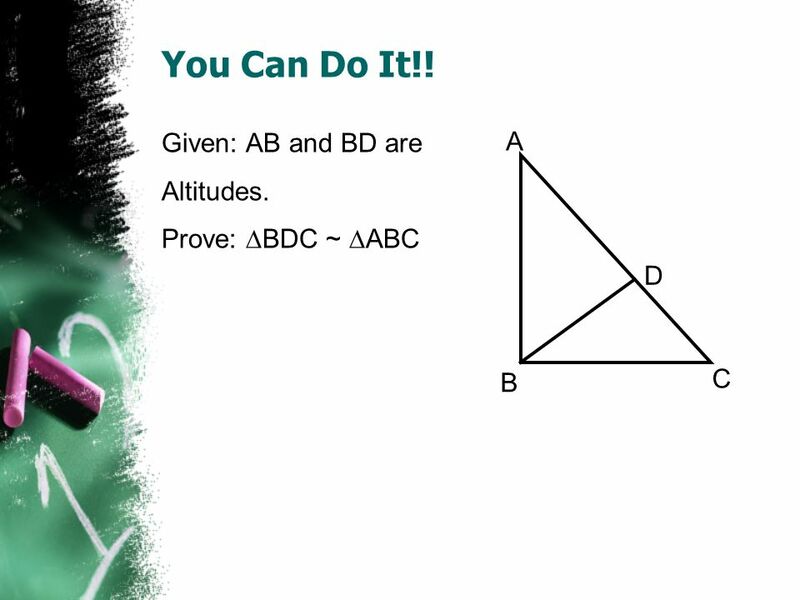 Similar Right Triangle Theorem If the altitude is drawn to the hypotenuse of a right triangle, then the two triangles. 9.3 Altitude-On-Hypotenuse Theorems Objective: After studying this section, you will be able to identify the relationships between the parts of a right. 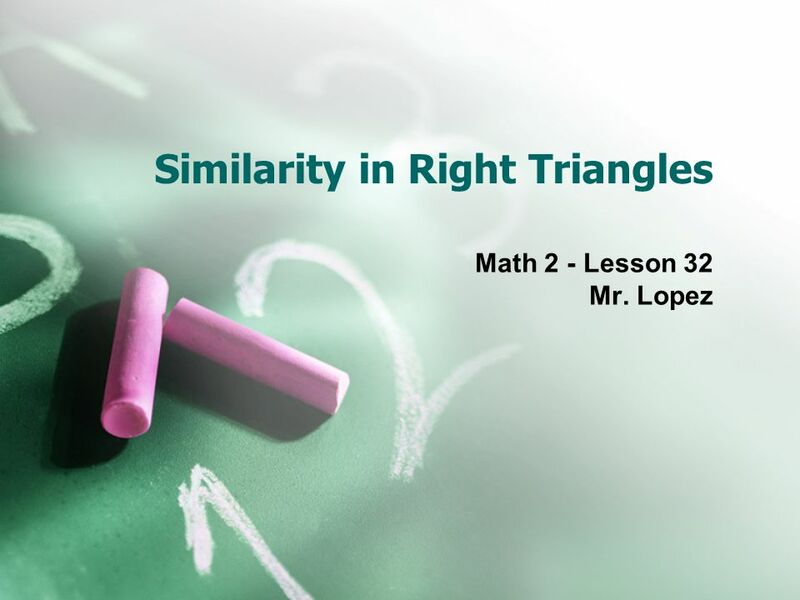 7.4 Similarity in Right Triangles In this lesson we will learn the relationship between different parts of a right triangle that has an altitude drawn. Geometry 9.1 Similar Right Triangles. June 5, 2016Geometry 9.1 Similar Right Triangles2 Similar Triangles A B C D Remember : If two angles of one triangle.